NEW Click here to order 3/4", 1", 1-1/4" and 1.5" Slip T's. 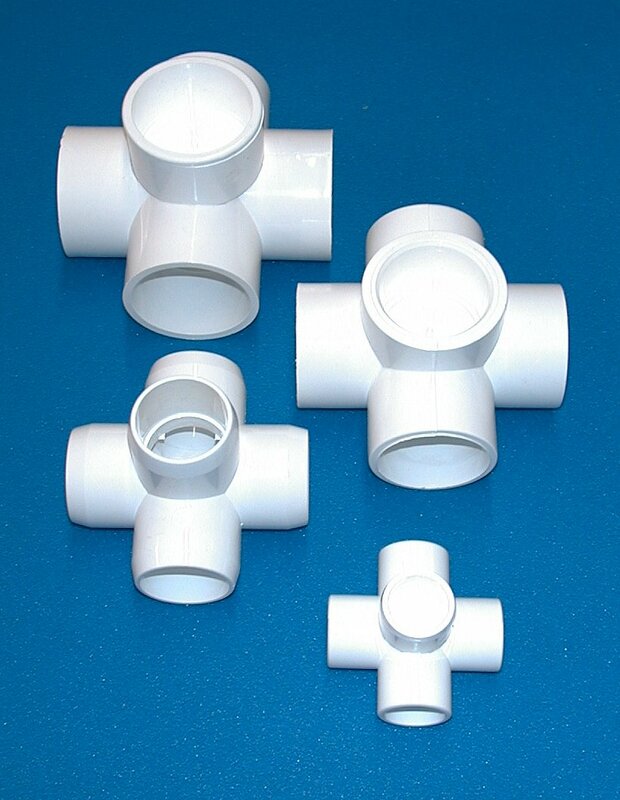 NEW 5-Way PVC fittings in stock! 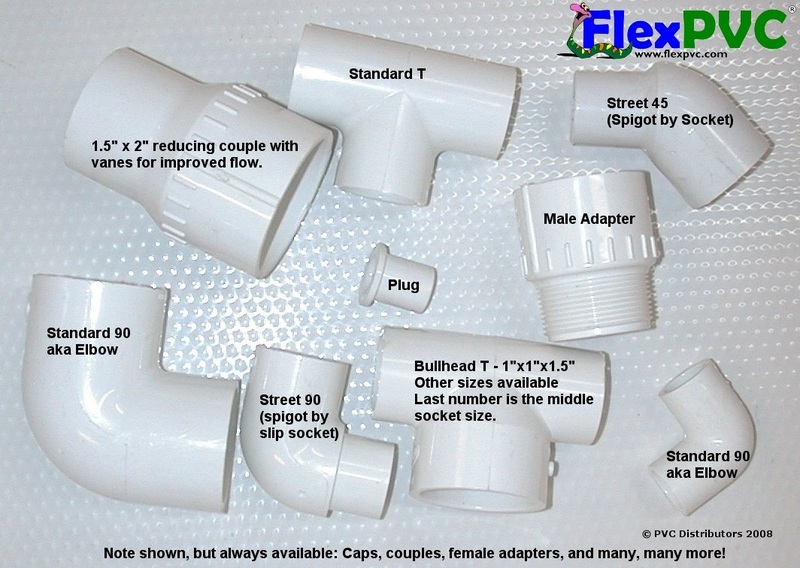 * Only the 1" 5 ways are full flow 1 piece fittings. All other 5 ways are 2 piece constructed fittings and are not flow through. In other words, the 1" 5 ways can be used for flow applications (Non-rated) or furniture projects, but the other 5 ways can only be used for furniture, tables, green houses, tables, chicken coupes, etc. We are now carrying more Garden Hose Fittings. 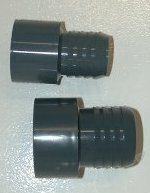 Click to order male garden hose fittings or Click to order female garden hose fittings. 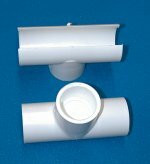 Most fittings are available in 1/2", 3/4" and 1" sizes, but not all. Please call to find the sizes for your fitting needs. 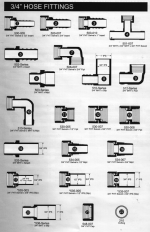 We are now carrying more 1" Manifold Fittings. Click on the link and order by number. Most fittings are available in 1" by 3/4" garden hose. Please call to find the sizes for your fitting needs. LIMITED STOCK: Brass 3/4" Garden Hose Ends, male $2.99, female $2.99. If you've looked at the local hardware store, you know how hard these are to find. We have a limited stock on hand. Won't break or crush like those cheap plastic ones. 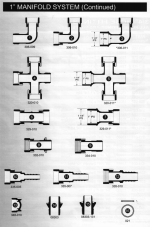 Schedule 40 Standard Fittings, please click here to email your quote request. The above is just a tiny sample of the pvc fittings carry. (60,000 items) And we try to stock at least a little bit of even the strangest fitting, so feel free to give us a call toll free at 1-877-PVC-Fittings. Please note: PVC prices move with the price of oil. We will honor the prices above. But for any other item, please call to get the lowest and more current price quote. YOUR INFORMATION IS PROTECTED! All credit card orders are done via secure server, and no credit card or personal information is stored on an internet connected computer. All information is held offline for your protection & not shared with anyone! Please don't be shy. To order pvc fittings please call the toll free number above and we will be happy to take your order. Visa, Mastercard, Discover accepted, as well as prepayment via check or money order. Shipping: We ship from 8 different warehouses throughout the US. Most packages arrive in 1 to 3 days, plus 1 additional day for processing the order. Some addresses outside major metropolitans will take an additional day. We ship via DHL ground, UPS ground and US Postal. Expedited shipping also available. Cost will be 3x ground shipping. Make a note in the comment section of the order forum. Return Policy: Due to the thin margins in PVC fittings, we do not accept returns. All sales final. Please be sure you know what parts you need and how many you need before calling and placing your order.